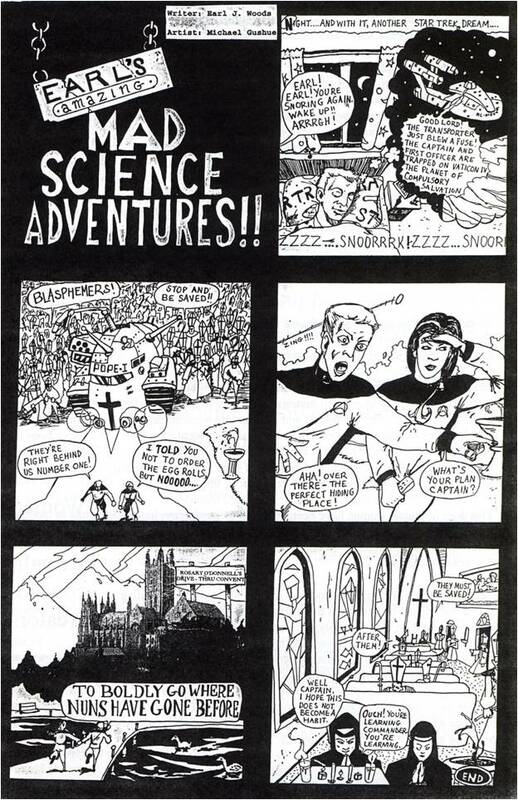 This is one of my favourite Mad Science Adventures. When I first saw how Michael Gushue interpreted my script, I cried out in delight, for it was as ridiculously over-the-top as I'd hoped. I was particularly tickled by the Star Trek bedsheets. Naturally, I do not actually have Star Trek bedsheets.